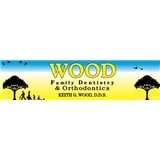 Wood Family Dentistry (Folsom) - Book Appointment Online! Are you looking for a Dentist that can provide you with all your dental needs in the Folsom area? Our Folsom dental practice is a high-tech office that provides excellence in general, cosmetic, and preventative dentistry. We also specialize in implants, orthodontics, endodontics, and oral surgery. Our Folsom dental practice will give you a reason to smile. Wood Family Dentistry is centrally located in Folsom in a beautiful, historic Victorian home. Our office follows the time-honored tradition of excellence in dental care in a unique, relaxing atmosphere. Led by Folsom dentist, Dr. Keith Wood, our friendly team of dental professionals will treat you and your family as a part of ours. With procedures such as Invisalign, implants, and cosmetic dentistry, we remain at the forefront of the evolution of dentistry. Dr. Wood ensures that each patient fully understands each procedure and treatment option. He shares his extensive knowledge to keep you informed and involved in the decision process.